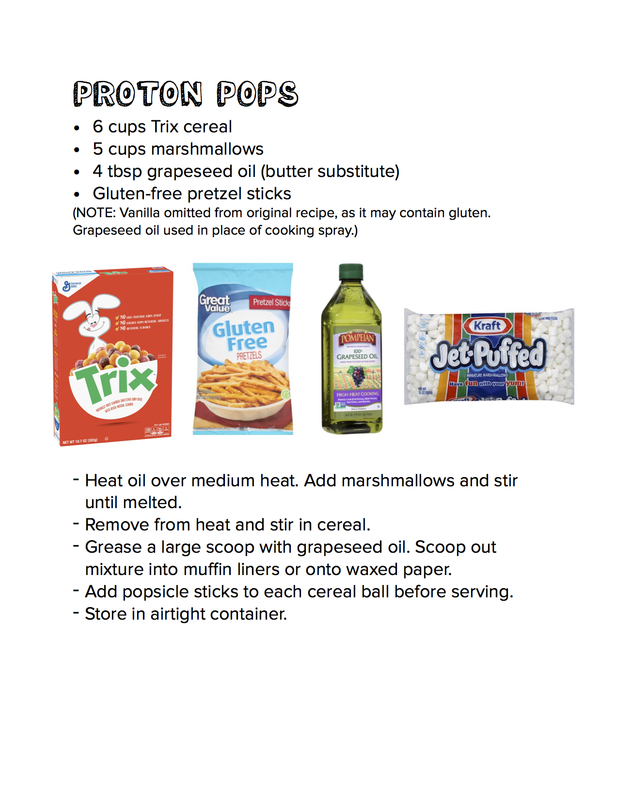 Top 8 Allergen-free Snack Ideas! Ask for allergy information as part of VBS registration. 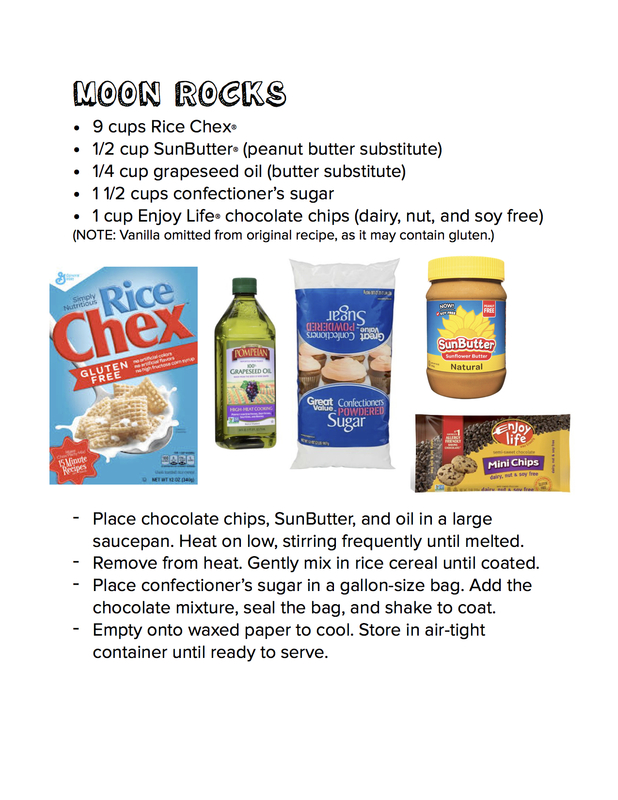 Prominently post each day’s snack (and ingredients) for parents to see. Keep food labels in case parents have questions. Use special wristbands to clearly identify children with allergies. 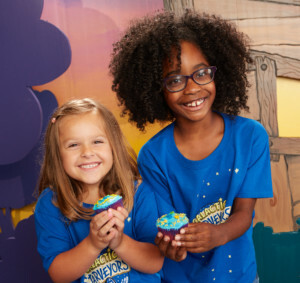 Enlist a nurse to be onsite and on-call during VBS. 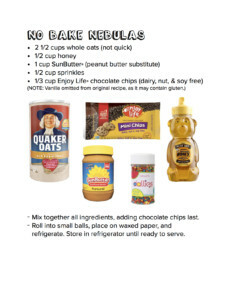 Offer alternative snacks for children with allergies. 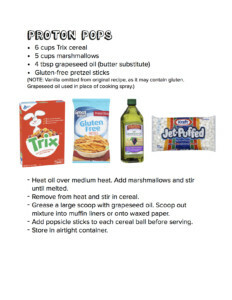 Choose snacks that are allergen-free. 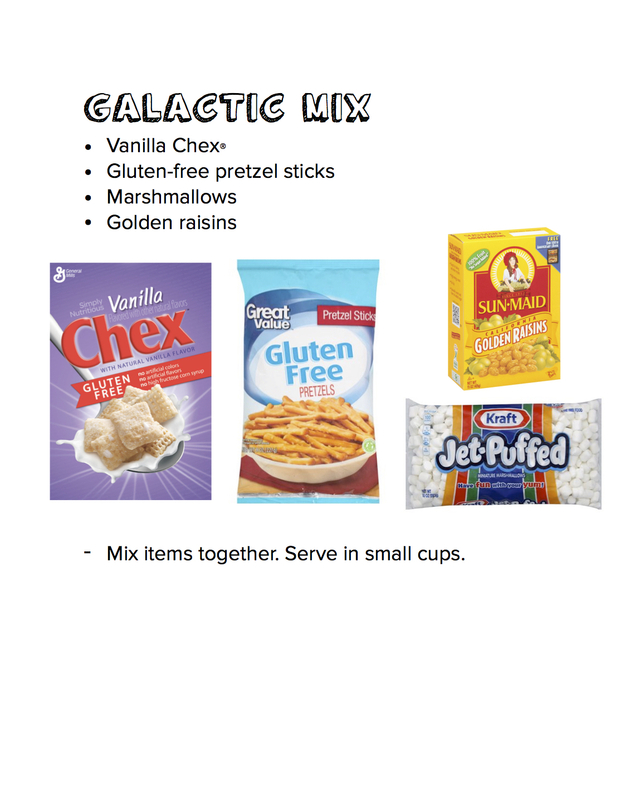 Gluten-free options are clearly marked in the VBS 2017 Snack Rotation Recipe Cards. 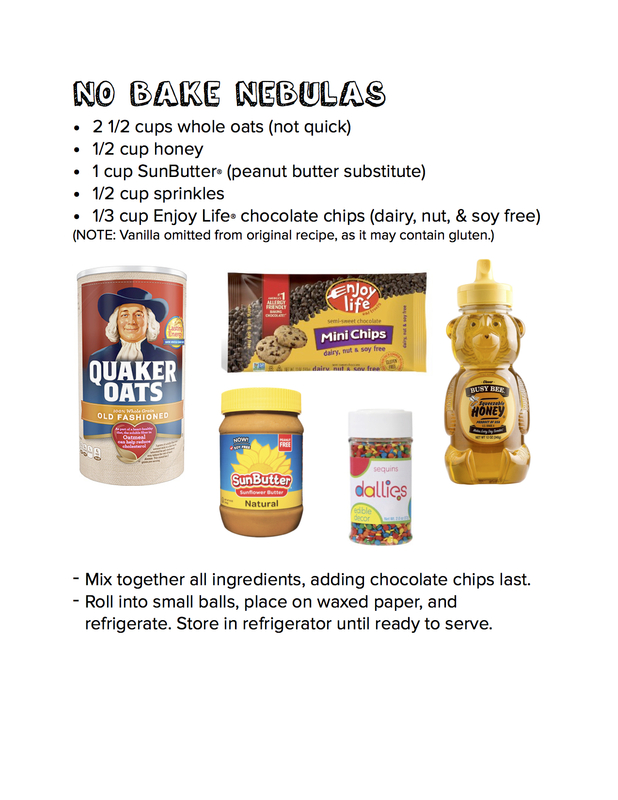 Our snack recipes also offer alternative ingredients for many common allergens such as peanuts. But this year one church took it a step further and adapted 5 of our snack recipes to be Top 8 Allergen Free! (The top 8 allergens are milk, eggs, peanuts, tree nuts, fish, shellfish, soy, and wheat.) 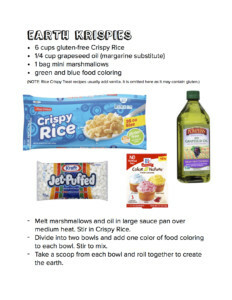 A big shout out goes to Julie Parmer, Director of Preschool Ministries at FBC Prattville, AL, for sharing these awesome recipes with us! The download links for the recipes are all the same. This is SO awesome! We are doing the same this year and though I had some ideas already, this is SUPER helpful! Thank you! 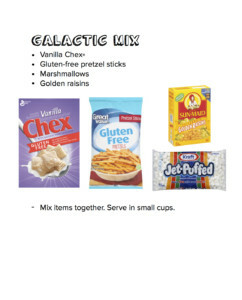 The last recipe for “No Bake Nebulas” doesn’t open larger nor does the link open. please advise…. When will the new recipes be posted? These go with last year’s theme, thanks! !